The RMT have voted to campaign to leave the EU, branding it "pro-austerity, anti-worker". 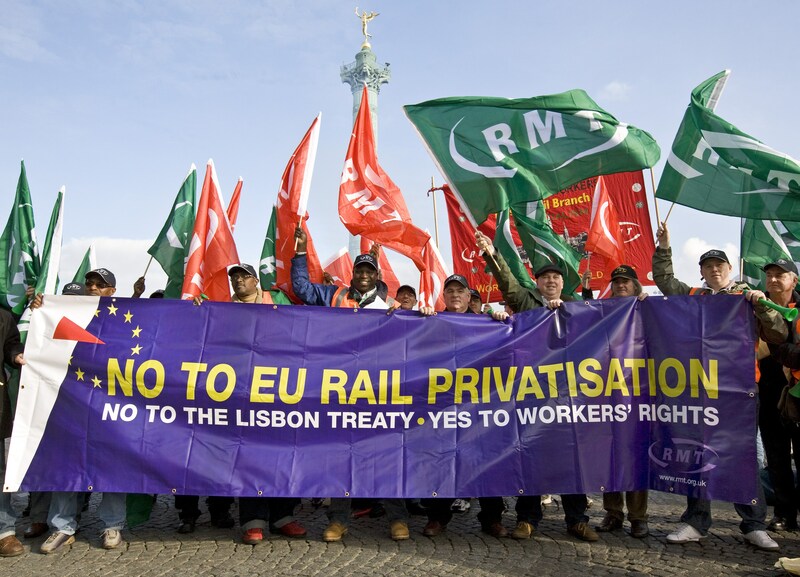 EU policies are at odds with the aspirations of this union as the various treaties and directives are demanding the privatisation of our rail and ferry industries. The EU is also secretly negotiating trade deals with the US and Canada which will decimate our health and education sectors and hand huge powers to transnational corporations over nation states and their governments. The Tories will be campaigning to stay in the EU come any referendum as they support this right wing, neo-liberal, anti-worker agenda.